We have been playing for several months and in that time we’ve learned a lot about making the most of our time to earn 4 Star shards which earns you the 4 Star champions, which you need to reach the end game. To to this, you need to join an alliance and today we tell you everything you need to know about this. 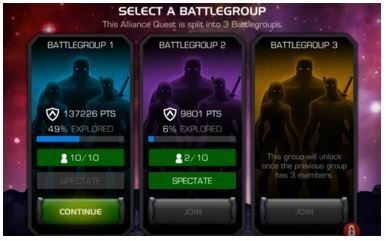 Alliances are groups that to group quests and achievements. When the group achieves a milestone, everyone benefits and gets rewards. So, your job is to do the minimum amount of work required of everyone so that you get rewards. Group quests and achievements are known as events. There are daily events, three-day events and six-day events. The important daily event (i. e. gives 4 Star shards) is Duel Skirmish. Your alliance leader will give you the name of user who has as their portrait an easy 4 Star target to maximize your duel points. Search for the user, click on his portrait, confirm this is the correct 4 Star target and duel 5 times for 325 points. Repeat in 12-16 hours when your duel credits refresh, now you 650 points. All 30 alliance members need to put a minimum 650 points so that the Alliance gets the 4 Star milestone. Your needs to find the appropriate 4 Star duel target on his own. This picture isn’t up-to-date and we will update sooner. You need 450.000 points for the 4 Star shards. All 30 alliance members need to put a minimum 15.000 points so that the Alliance gets the 4 Star shard milestone. The easiest way is to run Quest 3.4.1 for 1500 points per 30 energy. Do this 10 times over 3 days. Sometimes, special events can also be competitive, ie Venompool’s Vengence on Heroic – 3.2.2 – 3000 points for 54 energy. The important six-day event (i.e. gives 4 Star shards) is Summoner Advancement. 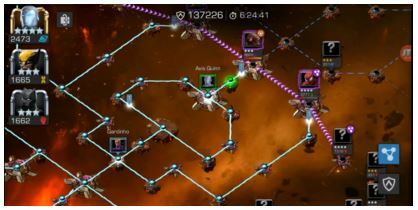 Beginner, Intermediate and Veteran Alliances will unlock Ranked Rewards with 55.000, 130.000 abdd 265.000 points. For a Veteran Alliance, all 30 alliance members need to put a minimum ~8.400 points so that the Alliance gets the 4 Star shard milestone. In general, an Alliance will expect you to do a minimum 6.000 – 9.000 ponts. This is very easy to do by opening crystals and leveling champions. Leveling a 3 Star champion from 1/1 to 1/10 is 300 points – this is the cheapest in terms of gold and is for max points. Once you have reached ~9.000 points, save your crystals and stop leveling and stop ranking of champions. Therefore, you must plan which champions you want to level every 6 days. Your alliance will take up to 10 players into to up to 3 battlegroups and try to clear the whole map of enemies. Do not enter a Battlegroup without permission! Alliance quests cost gold and loyalty for Maps 4 and 5. Be prepared to donate a weekly amount to your Alliance. You will make much more gold back from the gold rewards and the battle chip rewards. Don’t be cheap and screw you Alliance over! There are many paths filled with enemies. Use an app like Line to communicate before you choose a path! Take your 3 best champions and communicate with your team. Be a team player: communicate, make sure your masteries are good and choose your strongest champions! Don’t screw your Alliance over! Some enemies rest on nodes that buff other enemies. You will need to coordinate amongst your team so that enemies are killed before other enemies. There is a 1-hour recharge timer on movement energy. Communicate, coordinate and do not disappear for long periods of time. If you are dead, you can still move and clear paths for your teammates to enemies. Don’t screw your Alliance over! If you need to use points and revives, you are limited to 15 item usage per day. Plan accordingly. 1. Make a schedule: Check your AQ every 4 hours. Before bedtime. In the morning. 5. If you are dead, clear lanes! Don’t screw your Alliance over! 6. Practice on non-duel skirmish days against bosses: Venom, Unstoppable Colossus and Colossus. 7. Be patient and learn to bait and play around Specials 1 and 2. A new Alliance will start in training tier. If you score enough points over 5 days, you will go up a tier. If you do not, you will drop down a tier until your are in training tier again. Finally, like any team, it can take a while to find the team that suits you – likewise, a team will take time to find players that suits the team. Alliances are constantly recruiting and replacing players every week. As an officer, expect this. As a player, expect this too. Don’t take things personally when things don’t work out. The next best team/the next best player will show up sooner than you think! 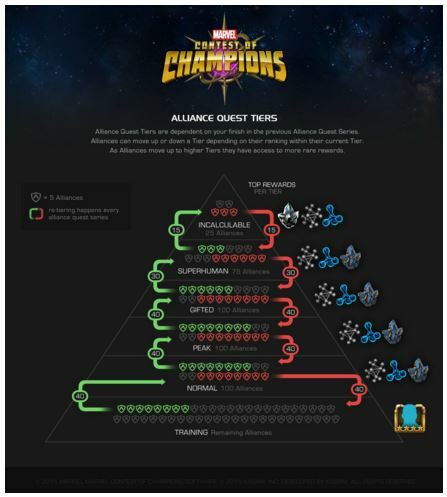 Thanks to user MavRCK for helping to create this Alliance Guide. If you find this helpful and would like to say thanks in the comments. 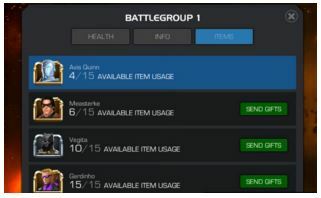 If you have any more ideas for this Alliance guide for Marvel’s Contest of Champions, let us also know this in the comments and we will this add this. 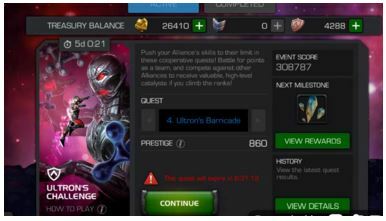 2 Comments on "Alliance Guide – Marvel’s Contest of Champions"